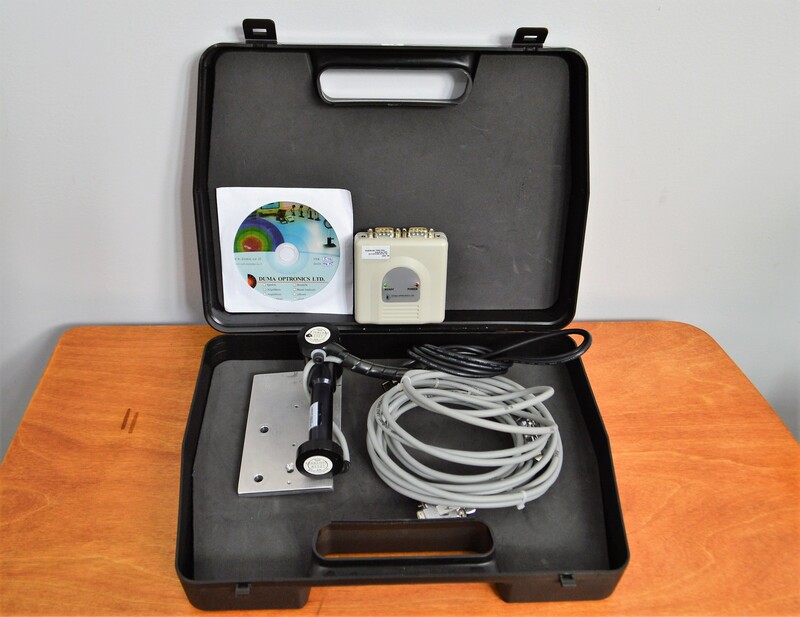 Duma Optronics AlignMeter USB Laser Beam Alignment w/ Software . New Life Scientific, Inc. The technician confirmed this instrument is in functional condition by testing the AlignMeter, using a flashlight for sensor detection. The light registered correct movement throught the different axes. This product does not include a PC, but the software, sensor, USB cable, and manifold box will come with this purchase. This product is in good cosmetic condition and all components were confirmed suitable for application. with resolution down to 0.1 um. The system measures CW beams, and offers portable, fast and accurate beam alignment solution. It is a USB2.0 device, the system runs on any Notebook computer with Windows 7/8/10 OS (32 & 64 bit). Multiple devices control via USB port is possible. Data streaming via TCP/IP communication protocol or RS232."